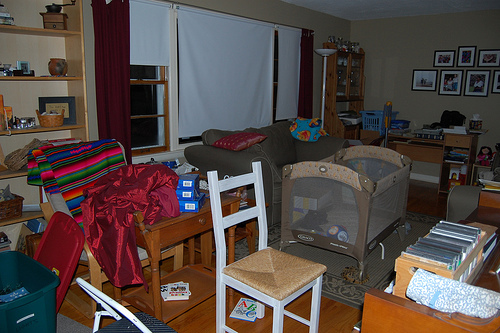 Is the mess in your house getting out of control? Do you find yourself navigating through the piles of junk in your property just to move from one area of the house to another? Then you might have a hoarding problem. When hoarding behaviors are discussed, you might immediately associate it with dirt and waste. You might visualize people who fill their homes with so many books, clothes, or memorabilia that you are afraid that they’ll spill out their contents if the door is opened. If you find your living condition in such state, it is time to seek help, but before the mess gets out of control, you need to recognize the early warning signs of hoarding. Hoarding is a mental health disorder which is associated with obsessive compulsive disorder. It is the condition wherein the individual excessively collects items without the ability to get rid of them. This mental health condition is very difficult to overcome for the hoarder and for his/her family. Hoarding creates a house which presents dangers to its residents due to the massive amount of clutter and biohazards. In fact, the house may get so filthy that disease-ridden rodents and other pests may start infesting the house. In addition, the house will also become a potential fire hazard, and due to the abuse done to the home structure, the property will have a higher chance of collapsing. If you feel isolated from family and friends. You might find yourself participating in family tasks and activities, such as attending family gathering, shopping, or working, but you perform them due to your obligation and not because you feel happy or are willing to participate. You tend to keep out visitors, even when they are your closest relatives or friends. You feel ashamed and regret when visitors come knocking at your door. You are indecisive about a lot of things. You have difficulty parting with unnecessary items in your house. You always feel reluctant to give things away or throw away items because you feel that you might need them someday. The rooms in your house are not functional because they are too cluttered. Some rooms may have been used as storage for unnecessary items. Your family members or friends might keep informing you about the overwhelming amount of mess in your house. You might try to convince yourself that you have no problem; however, if you start feeling the results of your hoarding behavior, you need to take action. Remember that this mental health problem will lead to life-changing repercussions. For instance, you might lose your home, your family, or ruin your career. To avoid suffering from these problems, you need to cope with your hoarding behavior. Here are a few tips. Take a few minutes every day to de-clutter your house. You can start small. You don’t need to clean-up the mess in your house in one day. You need to take little steps and continue to move forward. For instance, you can start in your kitchen area. Throw away empty cans and bottles, and throw away any expired food and beverages. If you start feeling anxious, take a break for a few minutes, take a deep breath then continue. Throw away anything you haven’t used in a year. This is very applicable when it comes to clothes, broken memorabilia items, and unused equipments. If there are items that mean so much to you, such as antique fixtures, you can consider putting them in a storage unit. In doing so, you can keep them out of the house without throwing them away. Once you pick an item, decide what you want to do with it. Do not try to simply move things from one pile to another. Once you pick it up, you need to decide whether to throw, donate, store, or keep the item. Seek help from family and friends. You can’t do it all on your own. It is best to have the support of your family and friends as you try to de-clutter not only your home but also your life. You can even seek out professional help if you want to address the root cause of your hoarding behavior. The author, Kris Lim, is a blogger for health and wellness blogs where she discusses the early warning signs of hoarding. She advises her readers to consider getting a storage unit if they have valuables which they want to keep out of the house. Her readers can learn more about storage units if they click here.